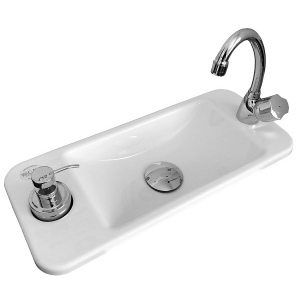 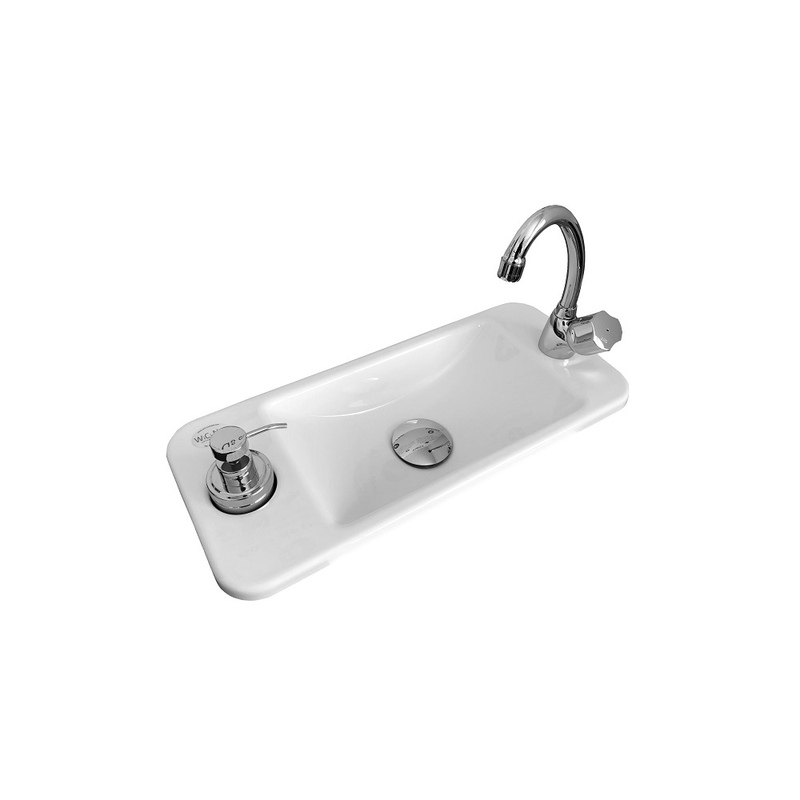 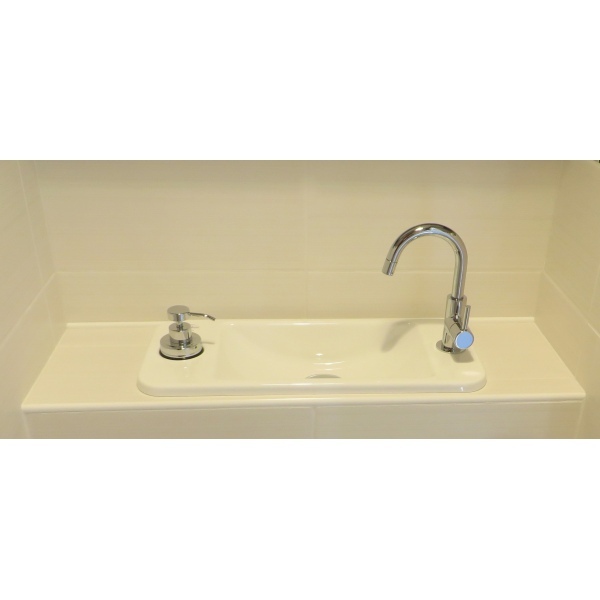 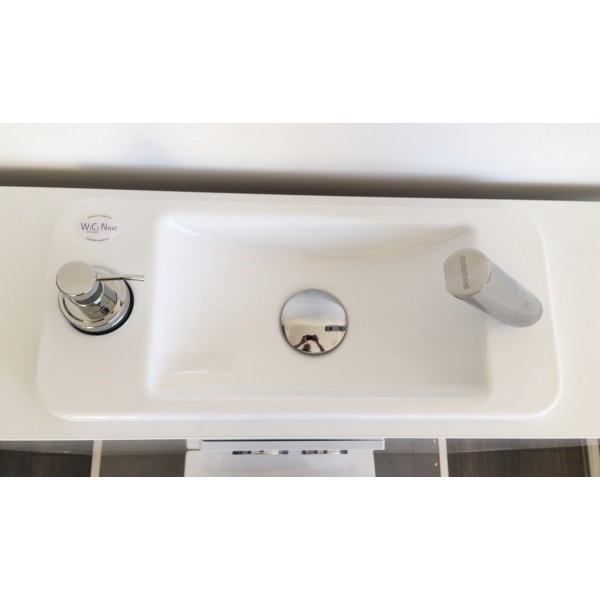 It is a nice hand wash basin, with a 50cm length and an internal square design, intended to be put on (or set into) a bathroom countertop or a cabinet. 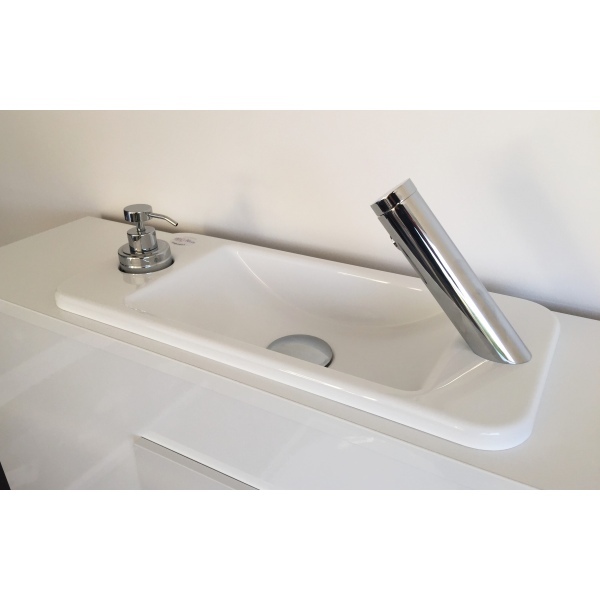 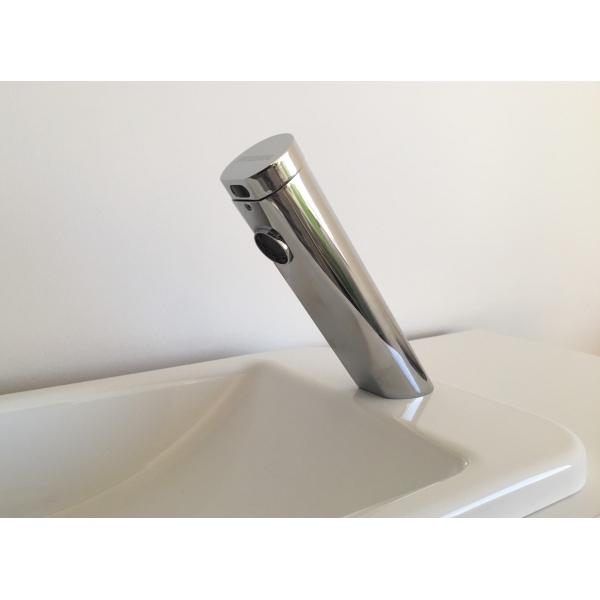 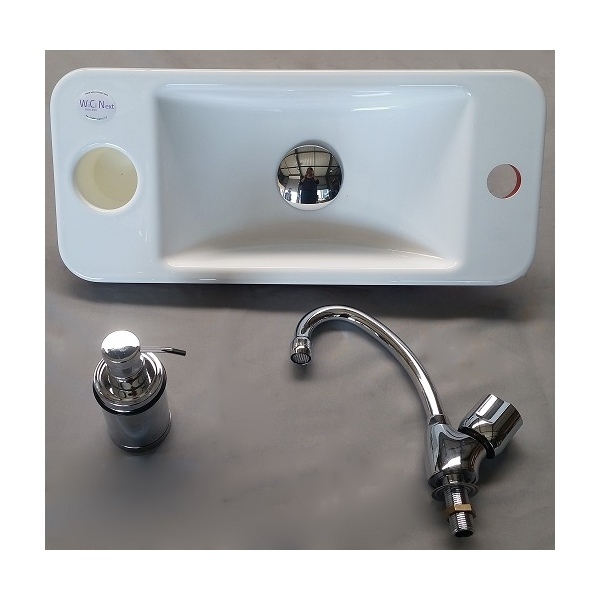 It is provided with an integrated soap dispenser, adapted tapeware (several designs availaible) as well as a chrome-plated free flowing “mushroom” plug. 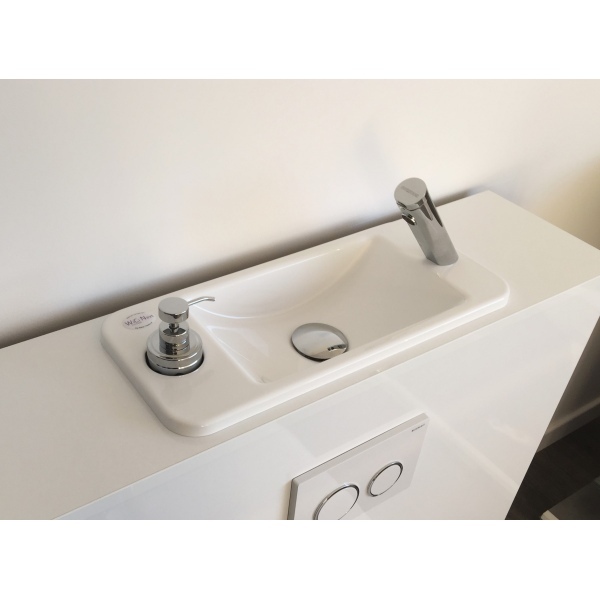 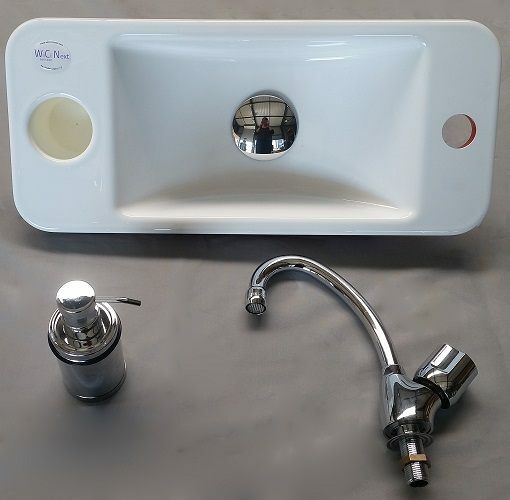 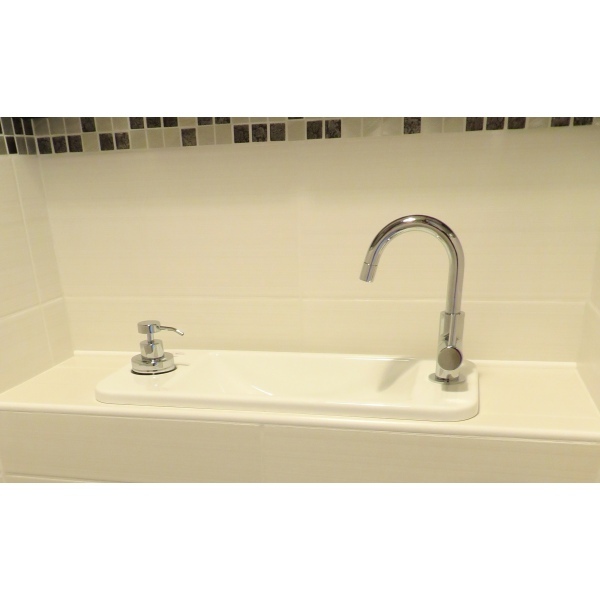 This is not a hand wash basin kit intented to work with wall-mounted toilets : in order to find these kits, that includ the adapted components, please visit the hand washbasins for wall-mounted WC section. 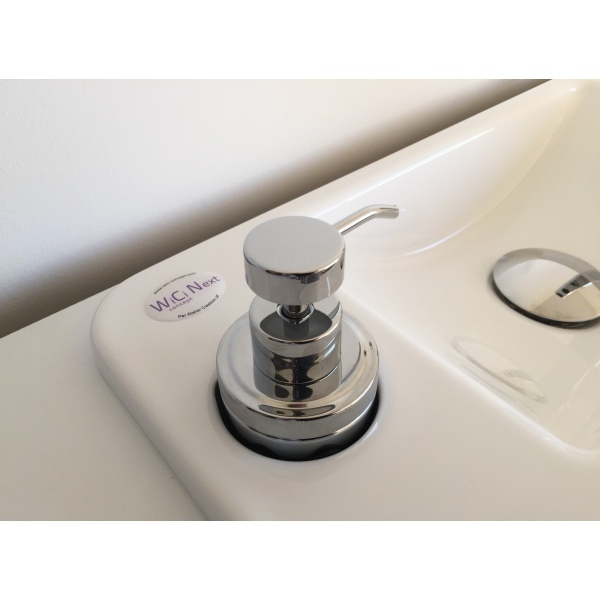 This is how, except in certain cases, the delivery of WiCi Boxi ® assemblies takes 3 to 5 days from the receipt of an order and related payment.